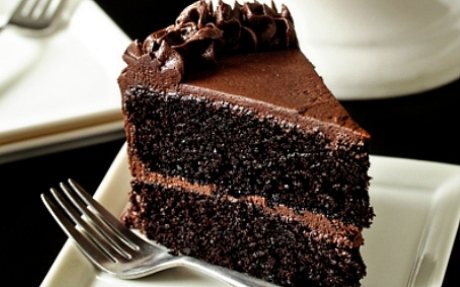 Here is a recipe for chocolate cake, using olive oil! The cake is super simple to make, and it’s also vegan, and I guarantee you’ll like it!! Starting from the top of the list, add all the ingredients to a large mixing bowl. I sieve the flour, but just put everything else in as it is. Mix everything together thoroughly, and pour the mix, which will be quite runny, into a cake tin. I usually line the bottom with greaseproof paper first. Bake in the oven at about 180 degrees, for about 45 minutes. Keep checking with a knife, and turn the oven off when the knife comes out clean. Usually I leave the cake in the oven for ten minutes or so after this, and then bring it out to let it cool. It should be moist inside. Enjoy! My son makes a delicious chocolate cake using olive oil – very moist and tasty – it disappears in minutes!. I will certainly try this recipe. I wonder what you use for the frosting? Cream cheese and icing sugar is good so I’ll try that. Thank you for posting. Frosting is often dark chocolate heated with margarine to make it a little softer. Sounds yummy, Sara. I shall have to make it tomorrow – have the grandchildren for tea then & they adore chocolate cake! Once again you bring another life from another world into our hearts and minds. Bravo Sara!!! ALL who know and know of you, love you and love what you share with us. I am afraid I have no idea!! I figured out how to pin it to my Pinterest board. Using the arrow on the top send to Pinterest app., choose a board and pin.